Back in the late 1980s my kids and I were crazy about Solaris, and old dad was plum obsessed with it, because the game was dang near impossible to beat! I never did, but I got close late one night when I made it to the very last of the star maps like the one shown below, which actually showed the planet Solaris! If I had been able to reach it, I'd have won the game. During my hours of playing this game, actually drew up copies of the many star charts that appeared as I made my way through the game. The reason I did that was because the maze created by the exits from each chart to another chart were hellishly complex. The jpeg of the sixteen different star maps below done by a player who drew them on paper when he was a kid, like I did. Years Later he used screen grabs to create this version. I added the green arrow to show the staring position, and the red arrow to show the location of Solaris, the final destination of the game. 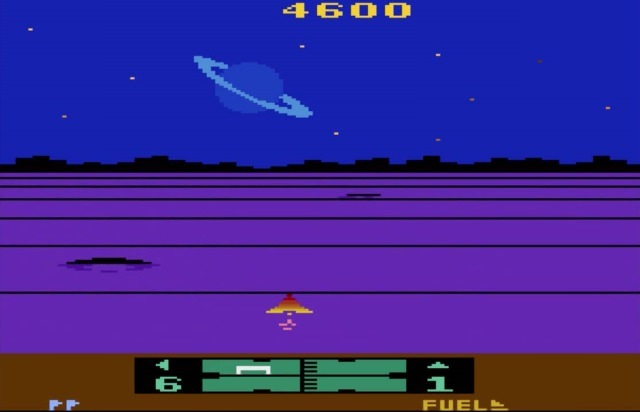 Imagine playing this game without the maps and with no idea which exits lead to which star map! My own drawings did allow me to figure out which exit on each star chart led to which of the OTHER charts, because I added the info at the exits on each map. They all were color coded on the game, and my charts were color coded the same way. 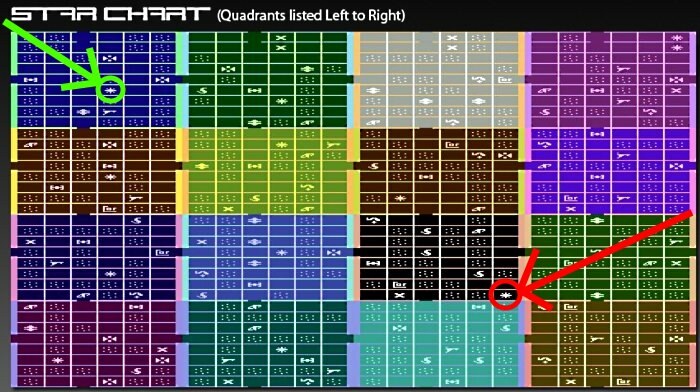 But since I only managed to reach the star chart which contained Solaris one time (after hours of playing the game), I was never able to plot a route to it. And I never had a drawing of this last star map, so I wasn't able to relate it to the others. If you'd like to try Solaris online free, here's the link! I spent about an hour playing it, and it was fun! 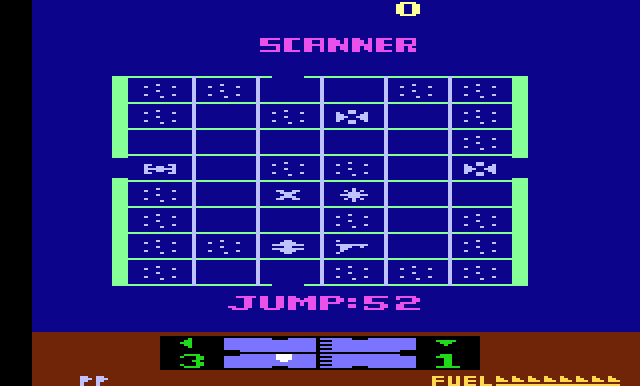 And here's the manual so you can spend a few hours trying to figure out how to play this impossible-to-win. 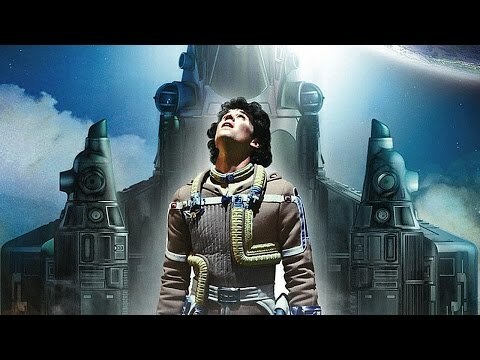 Tonight (March 22nd) I'm looking forward to watching this movie with Gord Green in All Sci-Fi's Chatzy room! It's a movie that suits my personality to a tee — upbeat, imaginative, visually appealing, and heroic! If anyone wants to join us, just click on the link above. We're starting at 6:30 pm EST. The box art for the Blu-ray is very impressive! Here's a better version of the trailer which is sharper, and in widescreen. The fan-made trailer below is visually impressive, but the overly tight editing and the annoying music spoils it (for me, at least). 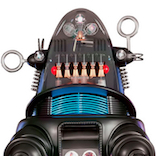 — started me thinking about the claim that the 1980s was the "greatest age of sci-fi films", so I made a list of what I think are the best ones from the 1980s, using All Sci-Fi's exclusive Chronological Index of movies by release dates for movies from 1970 to 2000. Here the list I made, with links to the threads for each movie so that you guys can add your comments (pro and con) about each one. Once I started making the list I began the realize that the 1980s did indeed produce a bumper crop of great science fiction movie! As you can see from the list, there are movies which are humorous and movies that are deadly serious, with everything in between! 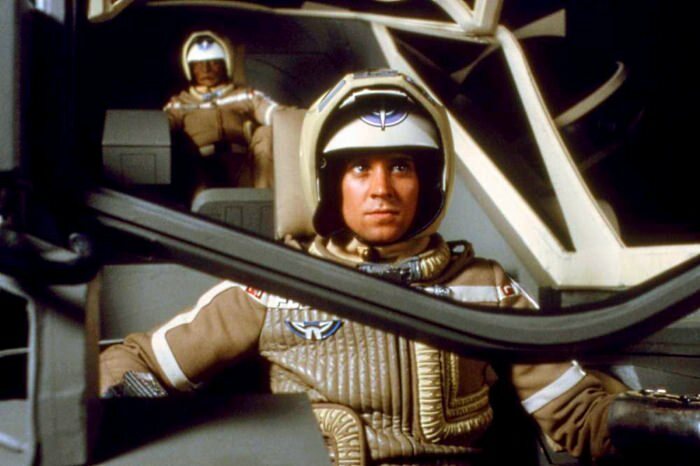 ~ Please add your replies to the threads for each movie below, rather than here on The Last Starfighter thread. 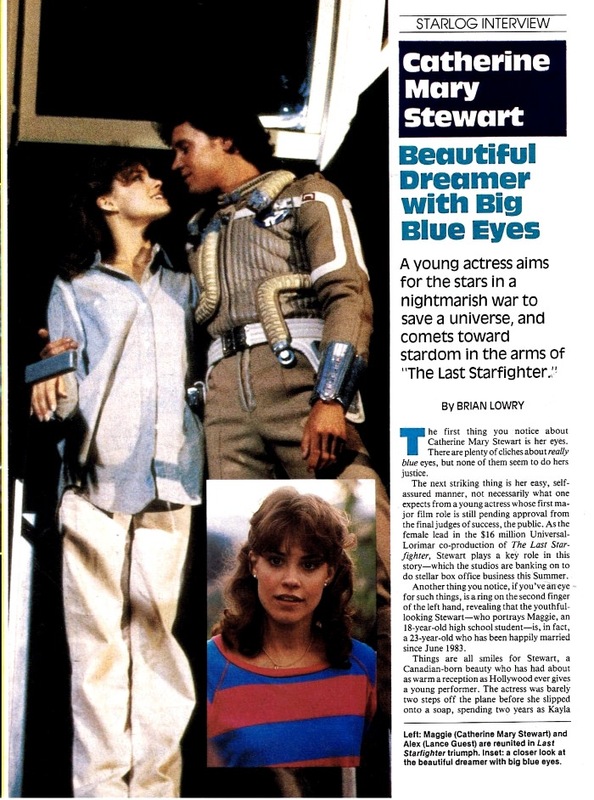 Starlog's issue 84 gave us a nice article about the gorgeous star of this movie. 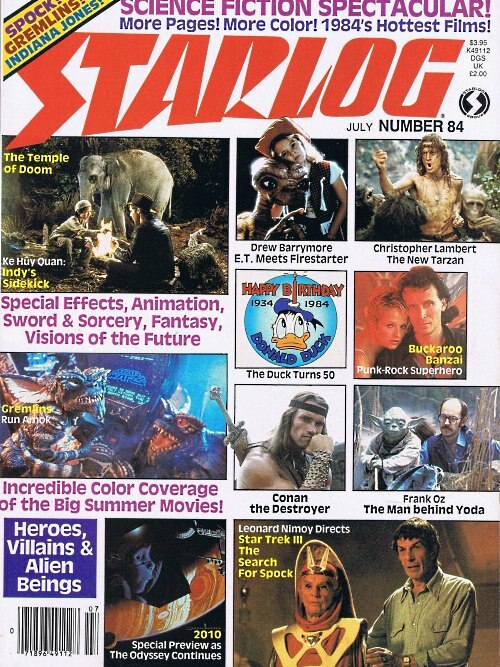 Starlog #80 also presented an article about this movie. The Archive.org scan is very sharp, but the magazine was not placed well on the scanner. I corrected the tilt of the the slightly images as much as I could, but the lower right corners of some pages have missing text because that part of the magazine was not on the scanner. 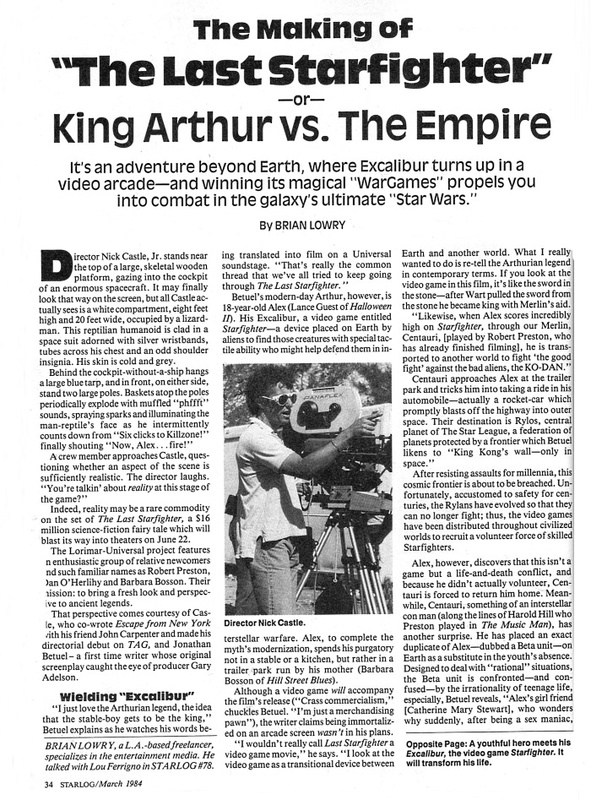 It’s fun to read articles that were written while a film is still in production. You get to find what the filmmaker hopes the movie will be like before it hits the screen. And we get to compare the finished product to the filmmaker’s intentions. 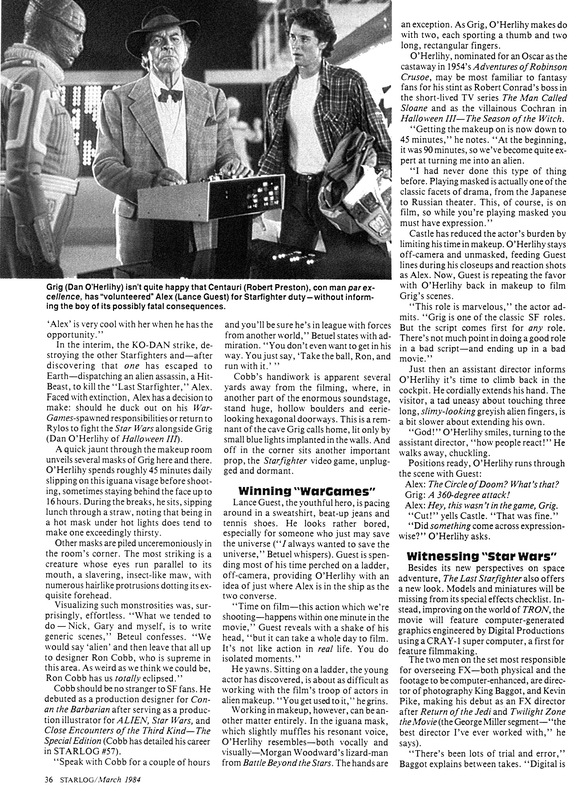 I enjoyed the description of the author’s tour (conducted by director Nick Castle) through Ron Cobb’s make-up department as he described all the masks we see in this enjoyable movie. He describes a few of them, and since I’ve seen the movie fairly often, I knew exactly which ones he was referring to. The author mentions seeing a set that was built for “the cave Grig calls home”, but we didn’t get to see any scenes of that in the movie. Too bad. In the article and in the movie, Grig (Dan O’Hearly) is described as resembling an iguana. Personally I’ve never gotten that impression. He’s obviously more like a turtle — complete with a skullcap that looks like a shell! 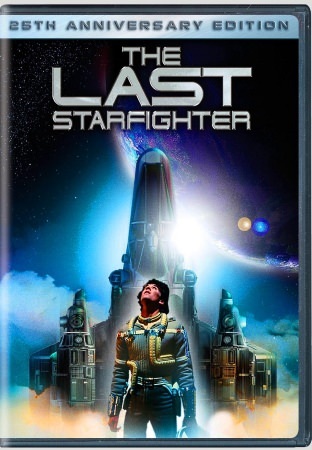 The comments by the director about the “new” technique of CGI FX are interesting in view of how well all that has worked out for Hollywood in the decades after the release of The Last Starfighter. 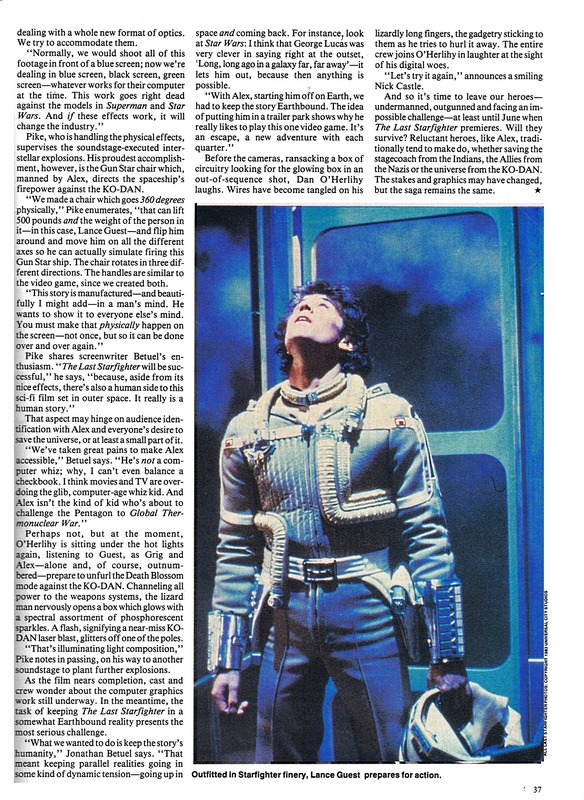 It’s interesting to read the comments by the production staff who took a chance on something new, thereby pioneering the next step in filmmaking. Concerning the physical props and sets, the discussion about the motorized chair that Lance Guest sits in while operating the Gunstar’s powerful weapons was interesting. I had never really thought about it, but I was glad to learn that Lance’s manipulation of the controls was actually causing the chair to whip around the way we see in the movie. The chair wasn’t just being twisted back and forth by stage hands on the set. I still love this movie, and the early CGI has the look of stylized artwork, sort of like the concept art for the movie below. ^^^Pretty sure that's concept art for a sequel. 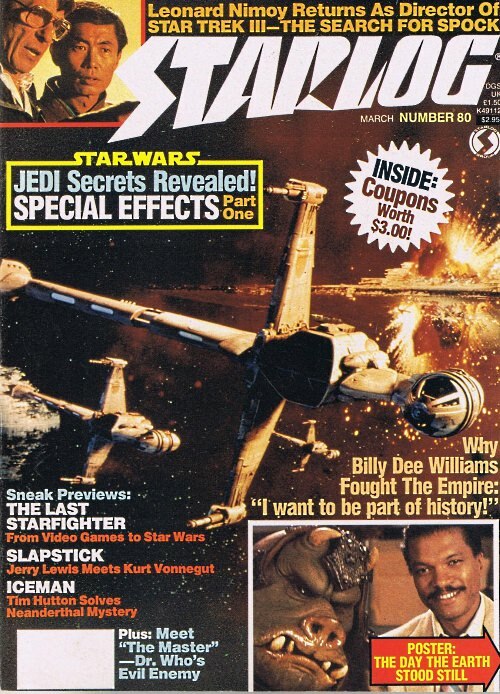 I wonder if what they think are Grig's cave was part of the Starfighter Command set, which was built to be inside a mountain. 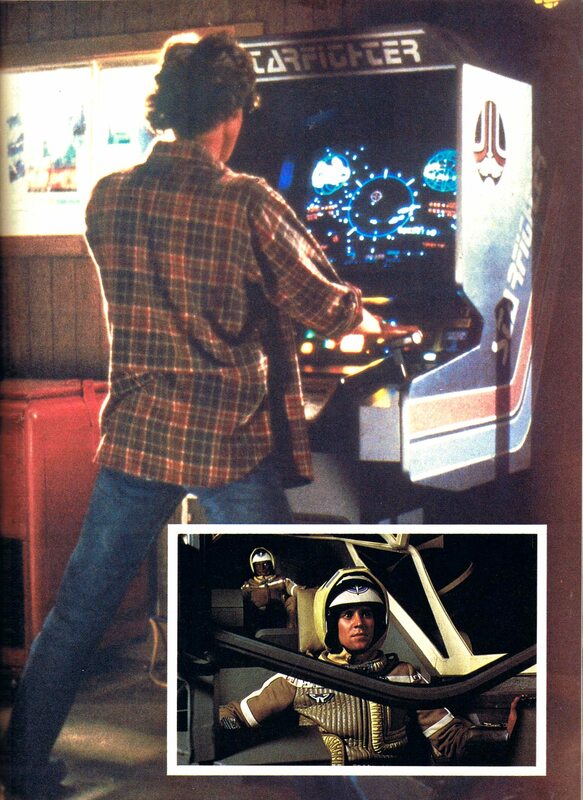 There's footage on YouTube of the actual Atari Coin-Op game which never got released. At 2:57 you can see the name of my friend Mike Albaugh scroll by as having done the "mathbox" for it. By gum, you're right! Thanks, Maurice!